Imperial Russian Word War I Infantry Kinzhal. Simple wood grip with brass rivets. 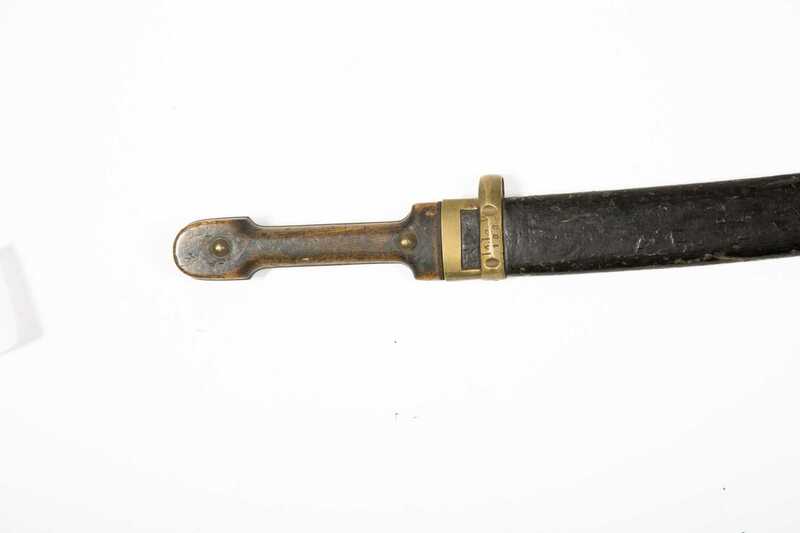 Blade has "A" acceptance mark and is dated 1909. Double fuller blade. 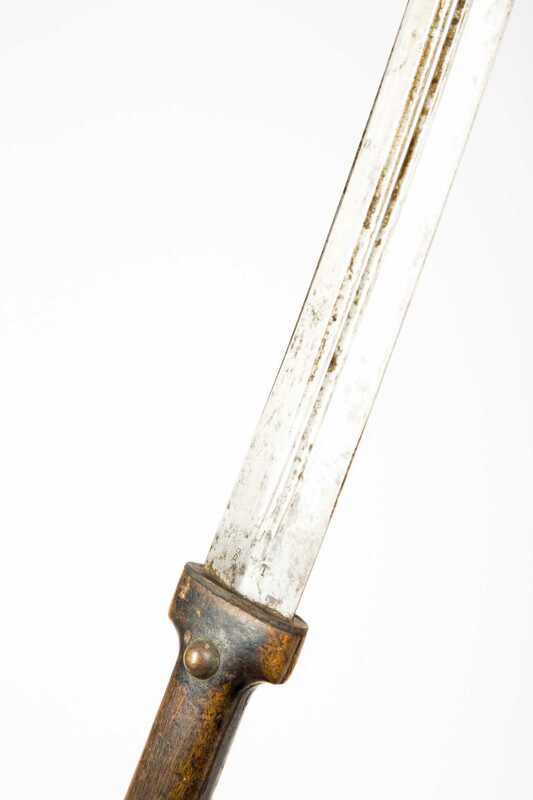 Painted wood scabbard has brass throat with additional markings.